Did you know over 30,000 agriculture family members in Georgia have some type of disability? Occupational, and physical therapists along with other health care professionals play an important role in preparing farmers and ranchers to return to work. This hands-on workshop will demonstrate ways to better serve the agricultural population. Learn about farm culture, daily work demands, how to communicate effectively with your patients who are farmers, specialized assistive technology solutions and much more. On the first day of the workshop you will learn about farm culture, impact of disability, assistive technology and much more. On the second day we will have a fun-filled day touring several different types of agricultural operations. You will get to apply much of what you learned on the first day. See first-hand many of the physical tasks and equipment required for a variety of agricultural jobs. Registration includes a workbook, supplies, continental breakfast and a lite lunch. Transportation is provided to the farm tour sites. Due to farm tours, space is limited. Register today! Approved for 11.5 contact hours through the Physical Therapy Association of Georgia (PTAG) and the University of Georgia. Application pending with Georgia Occupational Therapy Association (GOTA). Checks are accepted but must be received within 5 days of registering for the event. Make checks payable to the University of Georgia. Mail payments to: Farm Again, IHDD / UGA, 850 College Station Road, Athens GA 30605. Myrtice Atrice has been a physical therapist for 32 years in various capacities both treating patients and managing the physical therapy treatment staff. She currently is the Therapy Manager at Shepherd Center in Atlanta Georgia. 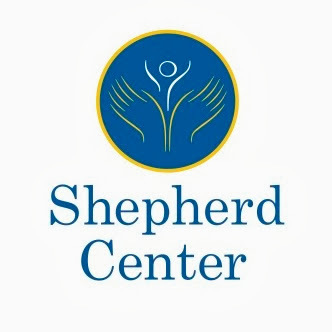 Shepherd Center is the nation’s leading rehabilitation hospital specializing in the medical treatment, research and rehabilitation for people with spinal cord injuries, acquired brain injuries, multiple sclerosis, chronic pain and other neurological conditions. In addition to her vast physical therapy background, Myrtice also grew up on a farm in south Georgia. Rebecca Brightwell is the Associate Director of the Institute on Human Development and Disability (IHDD) at the University of Georgia. IHDD is a large research, education and outreach department at UGA that focuses on disabilities. She also serves as the Co-Director of the Farm/Again AgrAbility grant project. She has vast experience with assistive technology applications and business planning for individuals with disabilities. She is experienced in video production and 3D modeling. Glen Rains is an Engineering Professor in the College of Agricultural and Environmental Sciences at the University of Georgia. He received his PhD in Agricultural Engineering from Virginia Tech and is a licensed professional engineer. He currently has research, extension and instruction appointments, focusing on technology for sustainable farming practices, farm injury prevention, and helping farmers with disabilities.Dr. Rains also serves as the Co-Director and Principal Investigator of the AgrAbility grant project..